Historic herbs and plants used in medieval medicines and recipes are still springing up at DZG today. The poisonous deadly nightshade plant, or belladonna, which grows behind walls of the 11th century Dudley Castle in areas not accessible to the public, had an eye-opening use for medieval women. 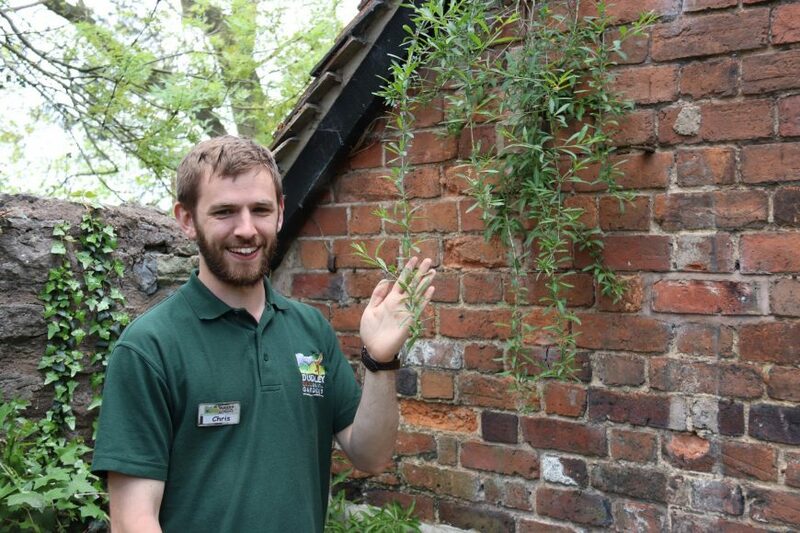 And the Duke of Argyll’s tea plant, pictured, can be seen sprouting from the side of the Victorian cottage which was home to head gardener Harry Hatch when the zoo opened to the public in 1937. Dudley Zoo’s Conservation Officer, Chris Leeson, said: “Both these plants are real remnants of history and would have grown on the site in medieval times. “Some were used in foods, drinks and medicines and at the time women had a very unusual use for the famous deadly nightshade. Next: Sun, sand and Santa!